IT’S ironic that litigation funder Bookarelli Pty Ltd is facing potential liquidation, given how profitable its proof-of-debt facilitation sideline appears to have been for the $1 company linked to sometime fraud investigator and Blue Mountains resident Richard Kurland. According to a September 2013 District Court judgement, between 28 June 2011 to 28 March 2012, almost $800,000 was paid into a solicitors’ trust account linked to Bookarelli. The funds, paid by McGrathNicol in its capacity as deed administrator of ION Limited, were dividends for the failed auto parts makers creditors, who executed a deed of company arrangement (DoCA) on May 27, 2005. The dividends went to the solicitor’s trust account in accordance with agreements entered into between Bookarelli and the ION DoCA shareholders, a group of shareholders that had accepted Bookarelli’s offer to facilitate lodging their proofs-of-debt with the deed administrators. 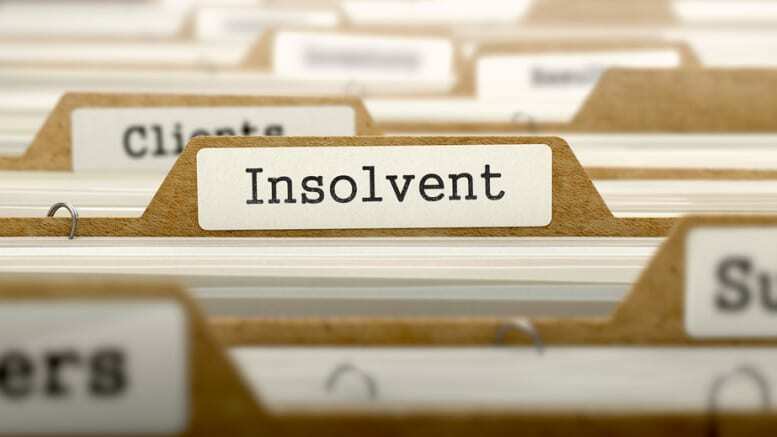 Under the agreement the solicitor – Marcel Joukhador – is required to pay 50 per cent of the dividends to the ION DoCA Group shareholders and 50 per cent to Bookarelli, its fee for pursuing the shareholders’ claims on their behalf. But Bookarelli hadn’t found ION shareholders willing to forgo half their dividend on its own. Back in 2010 Bookarelli entered into an agreement with Katanga Developments whereby Katanga would market Bookarelli’s services to nominated shareholders of ION, Babcock & Brown and other insolvent entities. In exchange for Katanga persuading ION shareholders to take up the offer, Bookarelli would direct either Joukhador or a second nominated solicitor, Paul Lee Ming, to pay Katanga 25 per cent of the distributions. Katanga Developments is controlled by Fred Gulson, the man who sprang to national prominence when the late Rolah McCabe became the first Australian to successfully sue a tobacco company for personal injury, though her 2002 win was overturned in the court of appeal after her death. Gulson’s affidavit in support of McCabe’s claim made him the darling of the anti-smoking lobby and plaintiff lawyers. He exposed British American Tobacco’s document retention policy as being designed to sanitise anything potentially sensitive. His evidence was regarded as crucial given he had worked as company secretary and legal counsel for British American Tobacco Australia Services between 1989 and 1990. However, Gulson is also no stranger to the litigation funding caper. In the 2010 replacement prospectus for LegalFund Limited, Gulson is described as a “former director” with an entitlement to 750,000 shares and 350,000 share options for a consideration of $7.50. LegalFund, which was placed into liquidation in 2014, was launched by controversial solicitor Bruce Vernon Dennis. Like Bookarelli, it was in the business of finding shareholders of entities that had collapsed into insolvency. Like Bookarelli, it offered shareholders an opportunity to participate in any subsequent dividends generated by the collapsed entities’ appointed insolvency practitioners, in exchange for a fee. Gulson and Dennis are also linked to a similar concept targeting the New Zealand marketplace though Dennis’s recent travails with the Law Society, which can be read at: Bruce Dennis guilty of professional conduct , indicate he may have more pressing matters on his plate. Interestingly, Dennis and Kurland were observed in conversation yesterday outside the District Court on Goulburn Street following another round in the skirmish between Katanga and Bookarelli. Kurland too is not entirely unfamiliar with notoriety, given he was initially implicated, then acquitted of involvement in the December 24, 2003 attempt to steal $150 million from the Commonwealth Superannuation Scheme. The swindle involved a fake fax purportedly from the Scheme trustee to its banker JP Morgan Chase, ordering the enormous sum be transferred to two accounts connected to casinos in Hong Kong, a third to a bank in Greece and the fourth, which was in Kurland’s name and had been inactive for some time, to a bank in Switzerland. $25 million landed in Kurland’s dormant Swiss account but an attempt by an unknown party to withdraw it failed because the bank required the holder to deliver any transfer instructions relating to the account in person. Ultimately the money was recovered and Kurland was completely exonerated. According to Fairfax press reports he told investigators he had simply been humouring a friend in offering the Swiss account and had no knowledge of the sophisticated fraud, or that the money was proceeds of crime. His friend, who was also charged, was also acquitted. It should be noted that Richard Kurland is not connected directly to Bookarelli. According to ASIC records the company has one director, Paul Riik of Bellevue Hill and its one share is held by Kurland’s daughter Nicole. But back to his stoush with Gulson. The first distribution under Bookarelli’s agreement with the ION DoCA Group was paid into a trust account controlled by solicitor, Paul Mee Ling in January, 2011. Katanga received $142,543.16c but Bookarelli terminated its agreement with Mee Ling Solicitors shortly afterwards and instructed McGrath Nicol to make all future payments to Joukhador. This was a breach of clause seven of the deed governing the agreement between Bookarelli and Katanga, which stipulated that neither solicitor could be terminated without Katanga’s written consent. From June 2011 to March 2012, McGrathNicol paid $795,469.96c into the trust account controlled by Joukhador. It’s not known what portion applied to those shareholders who had been signed with Bookarelli as a result of Katanga’s marketing efforts, but Katanga received not a cent. It wasn’t until late 2011 that Gulson asked when the second distribution was to be made. He was told he wouldn’t be receiving any further monies because Katanga had induced 20 potential clients of Bookarelli to become clients of Katanga. Katanga denied the allegations and took Bookarelli and Joukhador to court in September 2012. Then on August 13, 2013 payment of a sixth interim dividend was announced. Katanga sought orders that McGrathNicol’s Keith Crawford, as deed administrator, withhold 50 per cent of the dividend distributions payable to those ION shareholders subject to the agreement between Katanga and Bookarelli. The judge who heard that application amended the figure to 25 per cent and granted the order. Shortly afterwards Katanga returned to the Court. This time, Gulson sought orders requiring Crawford to notify Katanga within five days of any intended distribution of dividends to the ION DoCA shareholder group. Further, Katanga wanted to be provided with a schedule of which shareholders were to be paid and how much they were to be paid. He also asked that the 25 per cent owed to Katanga be paid into an account controlled by the court and that Joukhador be required to confirm to Katanaga in writing within three days of the funds having been transferred. Crawford, who consented to the initial orders, told SiN the requirement that he advise Katanga of any imminent distribution was lifted in 2014. In his judgement of September 13, 2013 District Court judge Philip Taylor described Bookarelli and Joukhador’s failure to respond to Katanga’s various notices to produce, its requests for information and their non-compliance with various court orders as a “blank wall” approach. He granted Katanga’s application for a freezing order with modest alterations. Two years on and with a wind-up application due for first mention early next month, it appears Bookarelli’s blank wall has been breached. If Bookarelli is wound up, it’ll create an interesting situation for the liquidator appointed. Bookarelli has $143 million worth of proofs-of-debt in three tranches against Deloitte’s David Lombe in his capacity as liquidator of Babcock & Brown. The initial tranche of claims was rejected in March this year and Bookarelli appealed the decision. A decision is imminent. Got SiNful tale to tell? Be the first to comment on "Litigation funder facing liquidation as colourful identities blue over Bookarelli"